Hey everyone! Today has been a great day for the UK, as Andy Murray became the first Brit to win Wimbledon in 77 years. Today is also great because I have the start of a new weekly series I'll be doing; comparing the things we nail girls need and love. 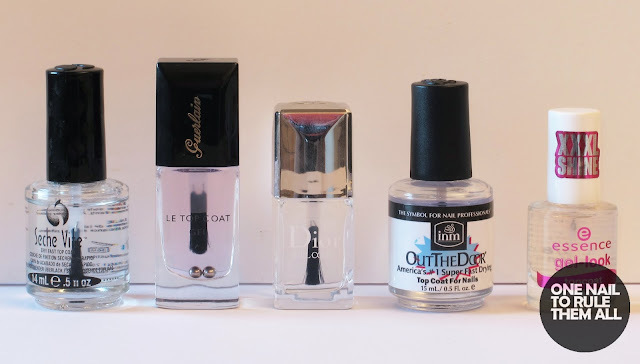 Base coats, matte top coats, hand creams, cuticle care, and today's post; top coats. I will be comparing Seche Vite*, Dior Gel Coat*, INM Out The Door*, Guerlain Gel Topcoat*, and Essence Gel Look*. I'm going to mark them on shine, drying speed, if you can prod them (and not leave a mark) after 10 minutes, how much they smudge the design below on application and how well they last, I will give them a ranking of 1-5 and a score out of 10, and then I will give my overall view at the end. The rest of the post will be after the jump because it's going to be pretty long. Seche Vite (10/10) whilst it does look a bit smudged, that was just my application of the design below, it looked like that before the top coat I promise. Out The Door (1/10) this was by far the worst of the bunch, the design is pretty much unrecognisable. Out The Door (9/10) I've worshipped Seche Vite for a long time due to it's fast drying speed, but this is definitely a close second. Although, it is pretty thin so that could be why it's so quick. Essence (7/10) it looked pretty shiny until I went to bed but as it didn't dry and it got wrecked, it was no longer shiny 24 hours later. Out The Door (6/10) as it's a very thin top coat, it takes on the shape of the nail art below, and it seems to have a kind of grainy texture, I cant explain it very well but it's not shiny to say the least. Dior (9/10) I doubted that anything could even slightly match up to my previous SV, but I was pleasantly surprised to find out that this did. It dried fast and was super shiny still the next day. I know a lot of people are not big fans of SV, as it isn't 3-free and is prone to shrinking, I guess it just doesn't work for everyone, and this is definitely a close alternative if you're looking for one. Albeit a slightly expensive one. What do you think? Do you own/want any of these polishes? Let me know in the comments! Thank you for doing this! I've been wondering whether I should stray from Seche Vite but I'm pretty confident that it's the best of the lot after reading your post. Great post! I'm an Out the Door girl, though I do have to be really careful about smudging! I just really prefer to use a 3-free top coat, which is why I avoid SV. 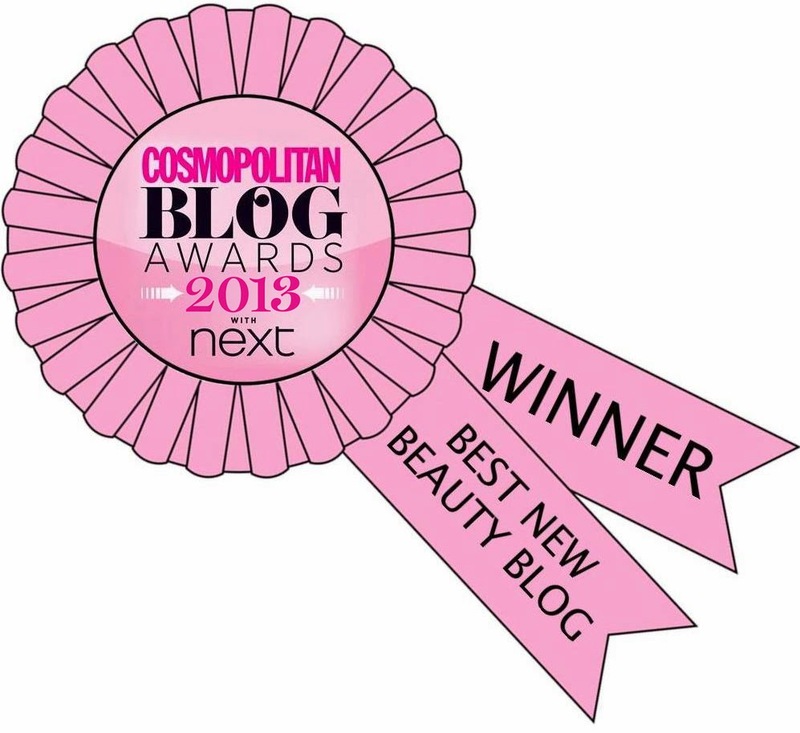 I'd love to see Poshé included in this comparison! Seche is my second fav TC... after Poshé! This is a great and important comparison post! I use Out The Door over Seche Vite as well, but I do notice it can take the shape of nail art so I end applying multiple coats. I use Seche Vite and it's such an amazing blogger tool. I wouldn't be able to do most of the stuff without it. Pre-blogging I used a Sally Hansen topcoat and I couldn't get it to dry even after several hours. Have you tried Sally Hansen insta-dry? It dries fast and shiny, so I thought maybe it could be a cheaper alternative to sv, without the occasional shrinkage. Seche rocks, when it comes to speed, hardness and SHINE. Oh, MAN, the shine. But I've experienced the unfathomably inconsistent shrinkage issue, making it a problematic choice. Butter London Hardware is another excellent tc to add to the list, as is that SH Insta Dry. Wow!!! thanks for sharing this to us. It def helps for people who love doing their own manis. From now on, I think I'll buy the Seche Vite. I have the same problems with out the door which is why I never use it and always reach for my SV! As much as I love SV, I can't get into the shrinking. Too much shrink. Thank you so much for this comparsion. I always find post like that very helpful. This is a great idea and I'm looking forward to the rest of the series. I've just made the switch (probably going to be temporary lol) to Sally Hansen Insta-dry from Seche Vite and I'm liking it so far. It drys as fast and has a shiny sheen just like SV but you do have to be more careful of smudging because it's a bit thicker but you just need to load up the brush really. I think you've just confirmed that I should stick with my monster bottle of Seche! I've been using OTD for a few weeks now and haven't had any smudging at all! :( I love comparison posts can't wait to read your next one!! Great idea for the new series! Love this kind of post. Have you tried Boots No7 fast tc? Can't wait for the rest of this week- such a cool idea! I have to say, if I could use a fresh bottle every time Julep Freedom Polymer top coat would be my first pick, but it gets goopy after a little bit and then smudges... For that reason I switched to SV, which I'm halfway through and have not had a single problem with. Awesome comparison post. Love it. This is a great post! Lots of people have shrinkage issues with SV, i've never had that but I rarely use my bottle of it because of the terrible chemical smell and the warnings about the chemicals in it. Great comparison post! I was curious if you have ever used Poshe Top Coat or heard things about it? I'm asking because it seems like Poshe and Seche Vite are the top contenders in favorite top coats. I don't like Seche Vite (toluene) - but I hate that Essence top coat. The majority of Essence ones smudge my nails and take ages to dry. My favourite without a doubt is Poshé, it's amazingly fast drying and it doesn't smudge at all. I have the shrinkage issue with SV as well. It is especially a problem after showering. I prefer SH Instadry clear at the moment. It goes on thick, has a great shine, and of course dries quickly. I haven't had a shrink issue with it. I'm kind of disapointed to hear that you didn't like the Out The Door polish. I had heard such great things about it and was about to buy it as a less stinky and non-shrinky version of Seche Vite :/ The shrinking of SV causes discoloration and chipping for me. Maybe I'll try the sally hansen instaclear like everyone is talking about. Great post though; Thank you! wow great comparison! this is really helpful! The only one I have not tried is the Guerlain. I have definitely have to try it. Thanks for this.